- install modules listed in the syllabus. 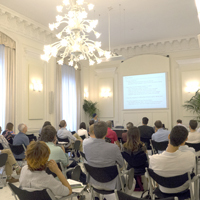 The objective of these lectures is to review some literature on discrete choice, sample selection and nonparametric models before discussing methods devoted to the evaluation of treatment effects. 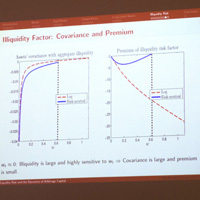 The course will also discuss the use of control functions and quantile regression in econometrics. Nonparametric density estimators. Linear nonparametric regression estimators. Nonparametric distribution function and quantile function estimators. Network topology. Applications of network analysis: education, labor markets, immigration. Theories of financial intermediation. Competition, reputation and the regulation of financial and information intermediaries. The regulatory debate after the financial crisis. In econometrics we typically use our available data to select a model and also, within the selected model, to estimate or predict. Then we report our estimates or predictions as if the selected model was never in doubt. We therefore ignore the uncertainty generated by the model selection process. This problem is called pretesting and it can have big effects. More general than pretesting is model averaging, where we do not select one single model, but let all models in a class play a role, though not all an equally important role. 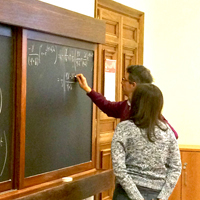 In the lectures we will develop the theory of pretesting and model averaging, concentrating primarily on weighted-average least squares (WALS). Hand-outs and papers used in the course will be posted or distributed. Course material. Dates: From June 11 to July 11, 2012. For details see the calendar. Each visitor will present his own research on the topic. - 31 May 2012, from 3 pm: Professor Andrew Ellul (Kelley School of Business, Indiana University) - "Is Historical Cost Accounting a Panacea? Market Stress, Incentive Distortions, and Gains Trading"
Dates: From June 13 to July 13, 2011. Dates: April 8 (10am - 12pm) - Matching Estimation. April 12 (3 - 5pm) - Evaluation of Active Labour Market Policy. Slides 1. Slides 2. April 14 (4 - 6pm) - Labour Market Effects of Individual Sports Participation. Paper 1. Paper 2. 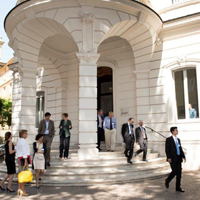 This course will provide an overview of recent literature in Economics linking early life experiences to human capital development and longer term outcomes.